Fresh to the market and from an extensive private Swiss Thoune Majolika pottery collection recently consigned to us we are delighted to offer this delightful antique Thoune Majolika pig money money box decorated with floral designs and dating from the latter 19th century. 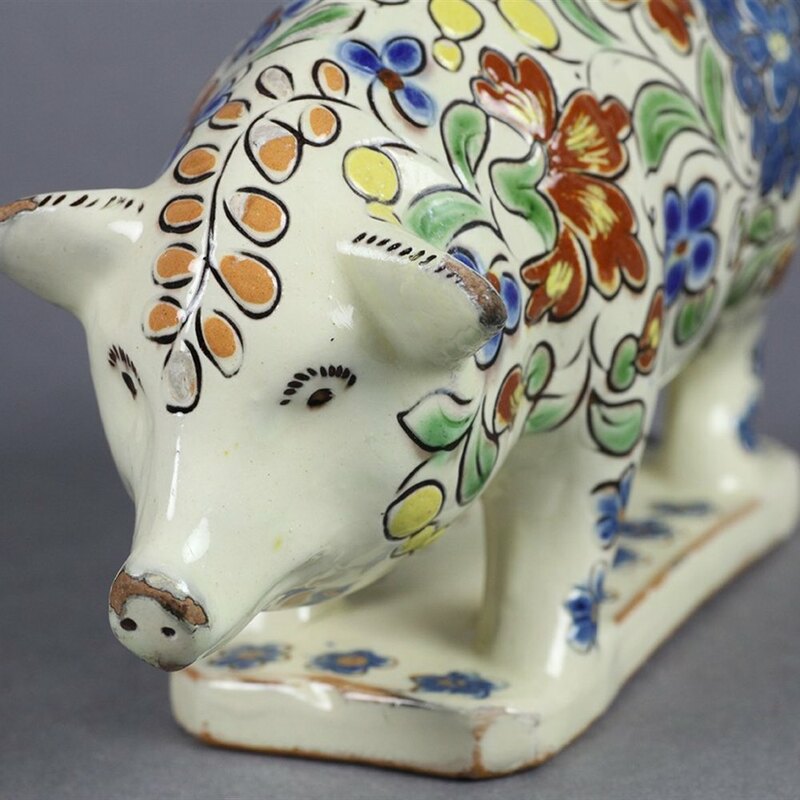 This fine earthenware pig shaped money box stands on a rectangular flat base and is decorated in low relief with floral designs in brightly coloured enamels against a cream coloured ground. The pig has well defined features with painted eyes and snout and has a money slot running along the top of the back. The figure has an incised Thoune mark to the base.